The NBA All-Star break is looked forward to by many for different reasons. While owners and coaches across the league look at this as a time of reflection, fans and players look for a great time to enjoy the love of the game and have fun. This time also brings up great debates about who should and should not play on the biggest stage of the weekend, the All-Star game. This season, one player is looking to make an appearance that is typically rare for a rookie. 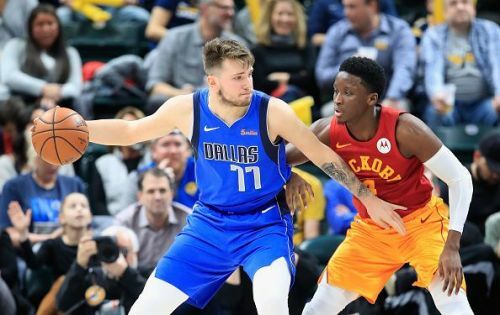 Dallas Mavericks' Luka Doncic has had his fair share of success thus far into the NBA season. Leading his team, and entire NBA rookie class, in points per game, no one can question the ability of Doncic to play the game at such an elite level. He has made crucial plays for his team and is not afraid of having the ball in his hand with the game on the line. With the All-Star break in a few days, conversations of if Doncic should be placed not only on the Western Conference All-Star's roster but as a starter has sparked big debates. In my opinion, should he play in the All-Star game? Yes. As a starter? No. The Western Conference is stacked with individual players that are guaranteed All-Stars because of who they are and their proven talent of being one of the best. In order for Doncic to be a starter, he has to be the best of three players in the Western Conference. 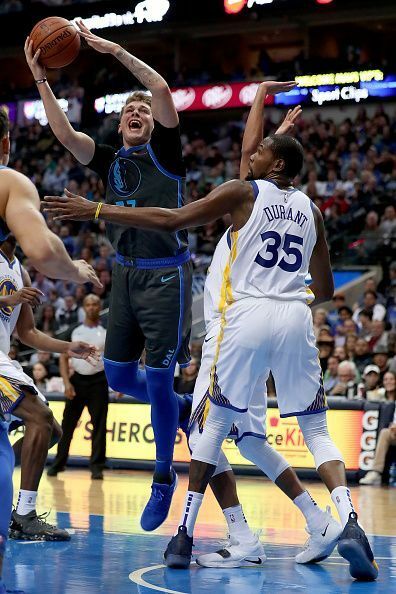 In the guard position alone, Doncic wouldn't stand a chance of even making the team against the likes of Stephen Curry, Klay Thompson, James Harden, Russell Westbrook, Damien Lillard, and Chris Paul just to name a few. Luckily for Doncic, he is listed on the All-Star ballot as a frontcourt player. This works in his favor. LeBron James, Kevin Durant, Anthony Davis, Draymond Green, Paul George are a few of the frontcourt players in the West that Doncic is against for a spot on the roster. George, Durant and Green teams' have winning records and are in playoff positions. Due to that fact alone, these players should be rewarded for their hard work of helping their teams win. Similar to Doncic, James and Davis' teams are on the outside of the playoffs looking in. These two players hold a different advantage over Doncic. James is arguably the best athlete in the world and Davis is one of the top three players in his position in today's NBA. It would be a tough call for picking Doncic over these two players alone. For the All-Star game, the voting rules have changed this year for selecting the starters. Fan votes count for 50 percent. As of January 17, Doncic ranked second behind LeBron James, and third overall in fan voting. The media and other players will account for the remaining 25 percent each. While Doncic can become an All-Star starter due to the voting rule this year, he should not be. The chance of other players and the media voting for Doncic as a starter over Durant, Davis and even George seems impossible. He should only hold a spot as a Western Conference All-Star, but not as a starter.